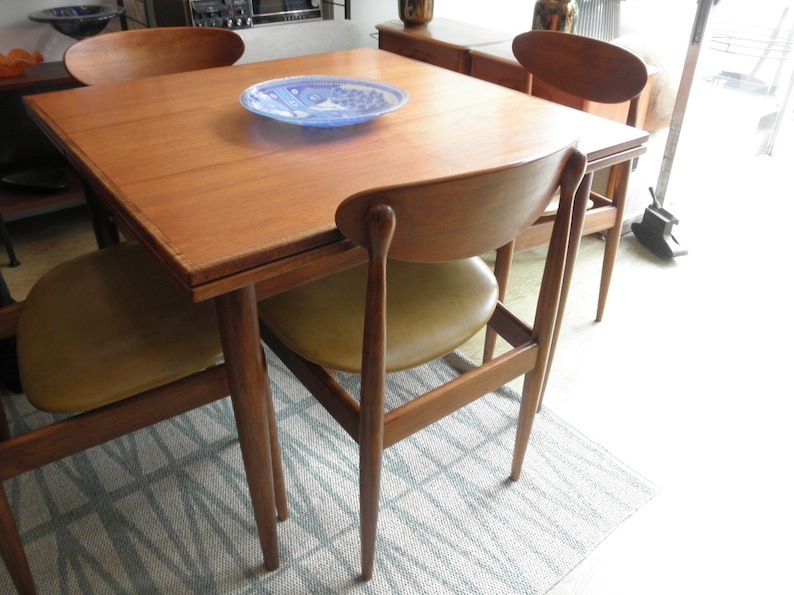 This original suite has 4 chairs and a very rare square extension table perfect for small spaces. 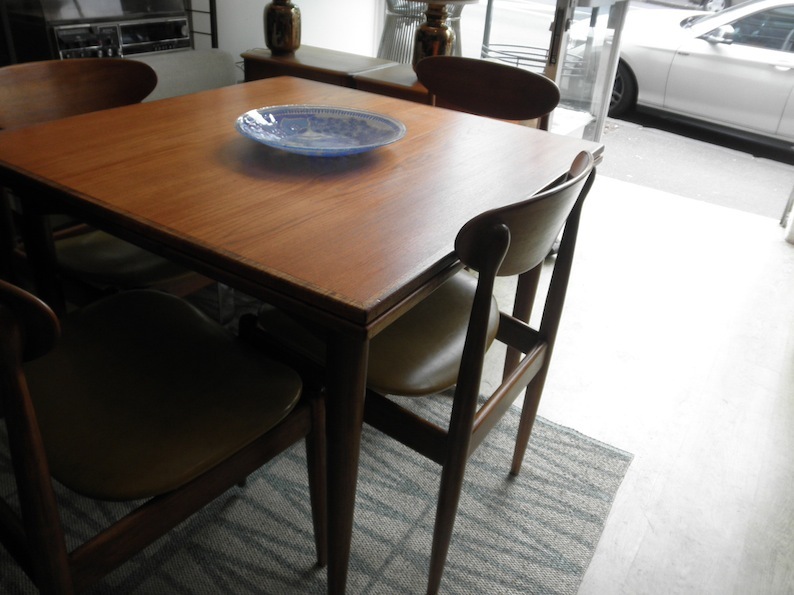 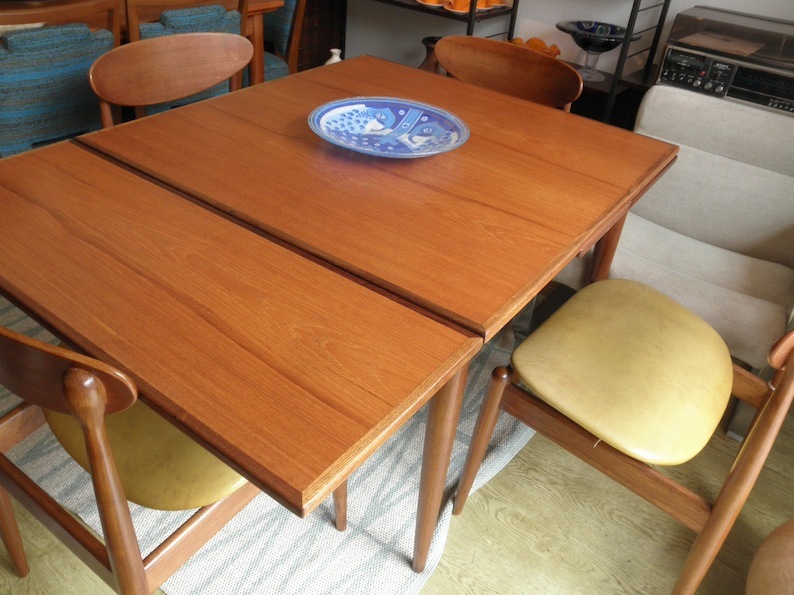 It is in original teak and blackwood and the table still has the original foil label to the side rail. 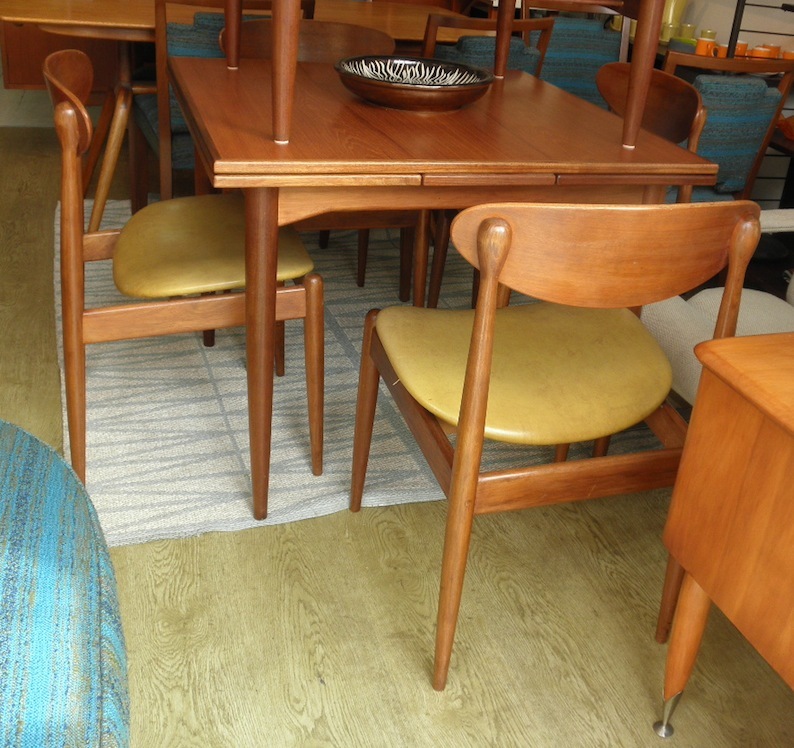 The vinyl is original and is a natural hide colour. 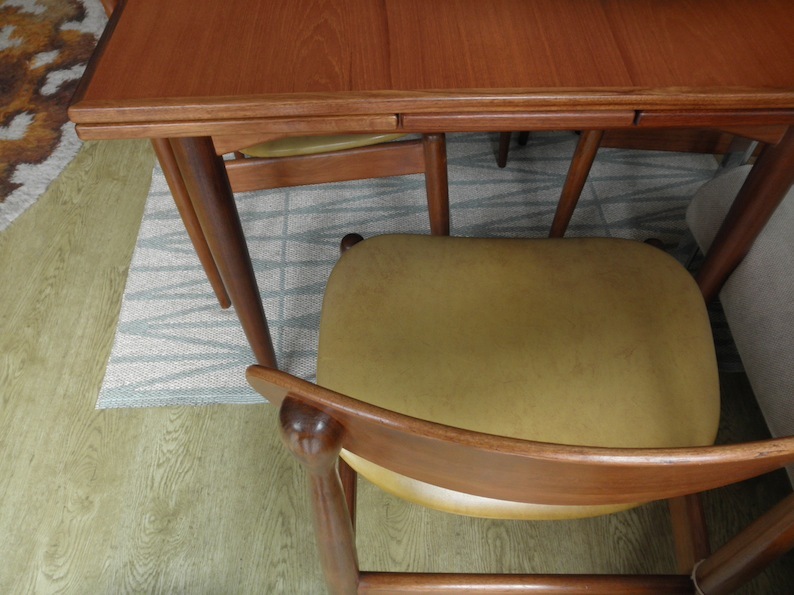 The chairs have all been checked over and repaired so they don’t have any wobbles and the top of the table has been professionally restored in hard shellac and teak oil.